Wi-Fi security attacks, hacking, stolen mobile devices – are these keeping you awake at nights? Are you surprised that Wi-Fi networks can be more secure than your wired networks? 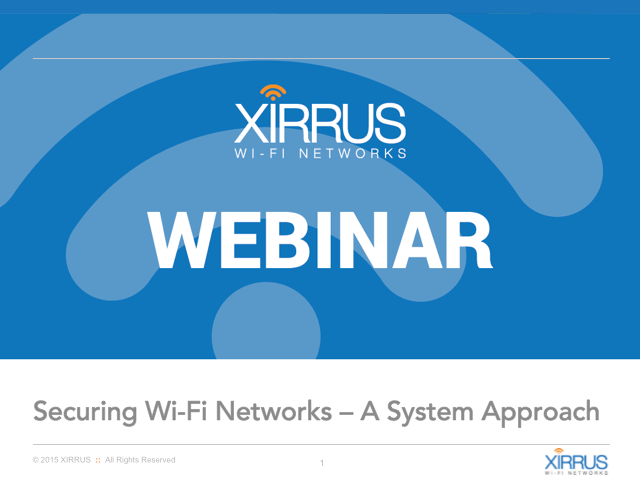 Wireless LAN has come a long way from the days of its inception with inadequate security. Contrary to common belief, security is not a single protocol or an appliance or an encryption. It is a system of different components working together to ensure your Wi-Fi network is secure and your confidential information is protected.